Lettering created for #Homwork, a weekly Instagram challenge. My shame snack? 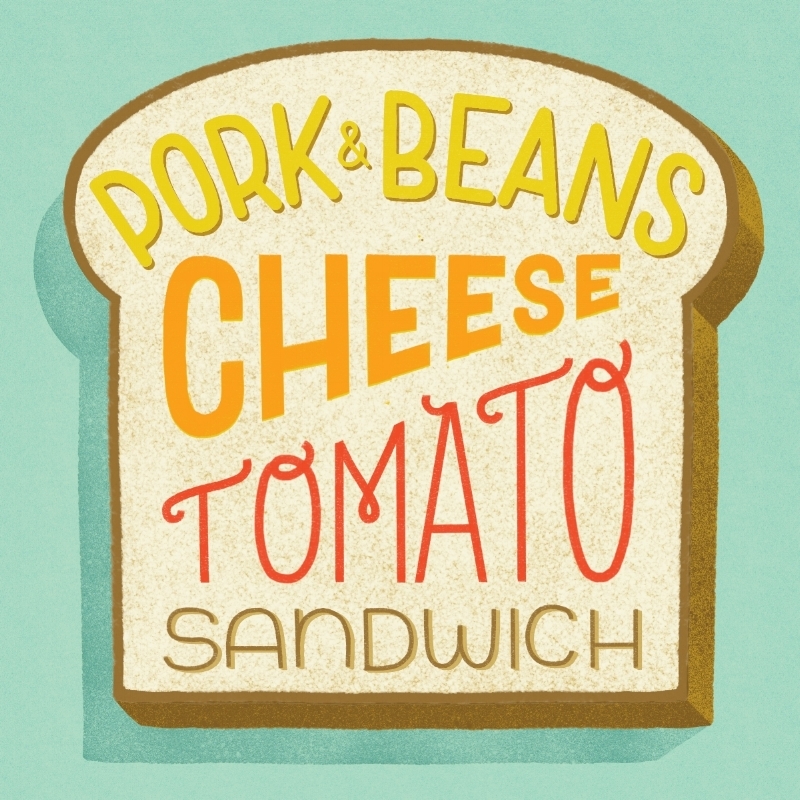 Toasted bread with a layer of pork & beans, sliced tomatoes and melted cheddar cheese on top!